These faithful reproductions of authentic nose art look like they came off the original aircraft. Every hand-painted mark is genuine. Made of aircraft-grade aluminum with hangers for easy display. 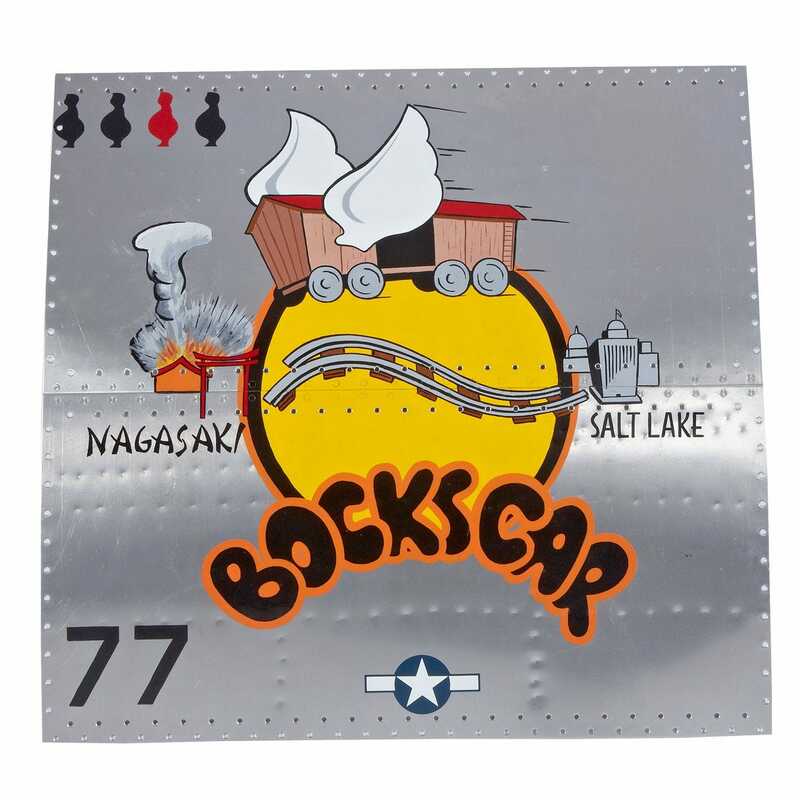 Flown by Maj. Charles W. Sweeney and 1LT Charles Donald Albury during the Nagasaki Mission, Bockscar is known as the bomber that dropped 2nd atomic bomb that helped end WWII. the Measures about 25”h x 26”w.